Zeiss USA has just released a new lens instant rebate on Zeiss Batis lenses (B&H Photo Video/Adorama/Amazon). With this up to $500 off instant saving, some lenses are lowest price online ever. Such as Zeiss Batis 135mm f/2.8 lens for $1,499 at B&H Photo Video/Adorama, Zeiss Batis 85mm f/1.8 lens for $999 at B&H Photo Video/Adorama, and Zeiss Batis 25mm f/2 lens for $1,169 at B&H Photo Video/Adorama. 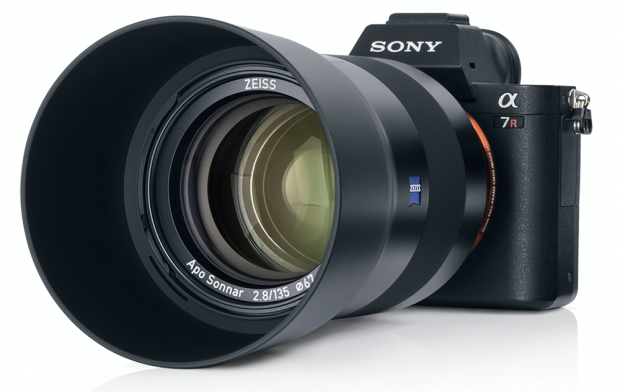 The Zeiss Batis lenses are best full frame e-mount lenses for Sony full frame mirrorless cameras. At this Black Friday & Cyber Monday 2017, Zeiss now announced up to $299 off on their Zeiss Batis lenses at B&H Photo Video/Adorama/Amazon. Zeiss USA recently has an instant rebate on their Batis FE lenses and Loxia FE lenses. You can save up to $100 off on these FE lenses for Sony Alpha full frame mirrorless cameras. The new announced high price Zeiss Batis 135mm f/2.8 lens (Adorama & B&H Photo Video) seems not welcome for most Sony mirrorless shoots. But according to lastest review from Amateur Photographer, this lens is a very great lens from Zeiss: beautifully built, autofocuses silently and accurately, and has very effective image stabilisation, it sets an exceptionally high bar that won’t be easy to match. Amateur said that the image quality of this lens is absolutely sublime – he can’t imagine any prospective buyer being disappointed. Zeiss Batis 135mm f/2.8 Lens Announced, Price $1,999, Available for Pre-order ! Zeiss now officially announced the new Batis 135mm f/2.8 APO Sonnar FE lens today, the US price of this lens is $1,999.00, now available for pre-order at Adorama & B&H Photo Video. 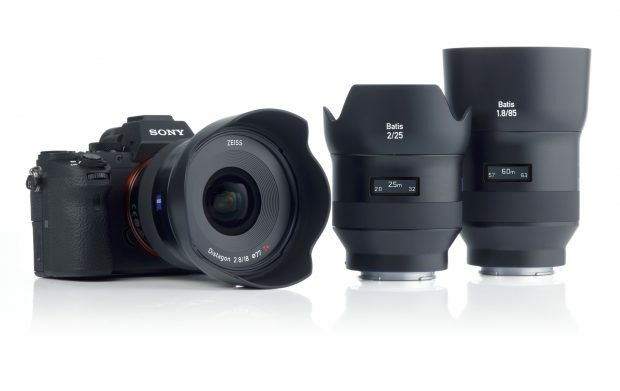 Author adminPosted on April 5, 2017 Categories Sony E-mount Lenses, Zeiss Batis LensesTags Zeiss Batis 135mm f/2.8 LensLeave a comment on Zeiss Batis 135mm f/2.8 Lens Announced, Price $1,999, Available for Pre-order ! 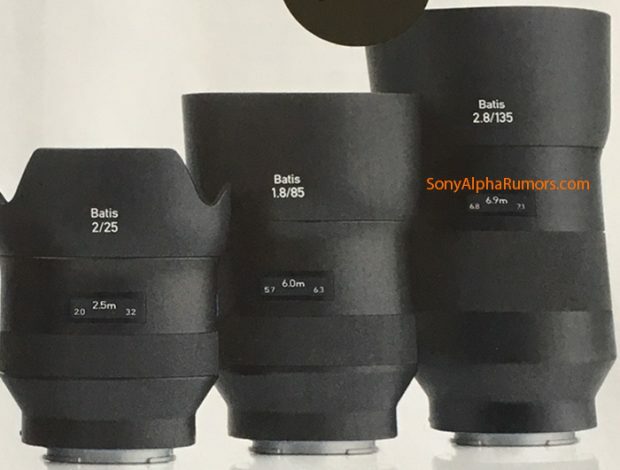 On a today’s newspaper, Zeiss has already leaked the upcoming Batis 135mm f/2.8 lens. This telephoto prime lens will be officially announced on April 5, 2017. The price for this lens will be around $1,500, same price tag as Zeiss Batis 18mm f/2.8 lens. Japanese website NokishitaCamera now confirmed that the Batis 2.8/135 lens is coming soon, it will be officially announced on April 5, 2017. The rumored Zeiss Batis 135mm f/2.8 lens is scheduled to be announced on April 5 next week, according to SAR. ZeissCameraLenses on instagram posted more samples of upcoming Zeiss Batis 135mm f/2.8 telephoto prime lens. This lens will be announced at the of this month or early next month. As rumored before, this lens is mostly like a Zeiss Batis 2.8/135 lens. 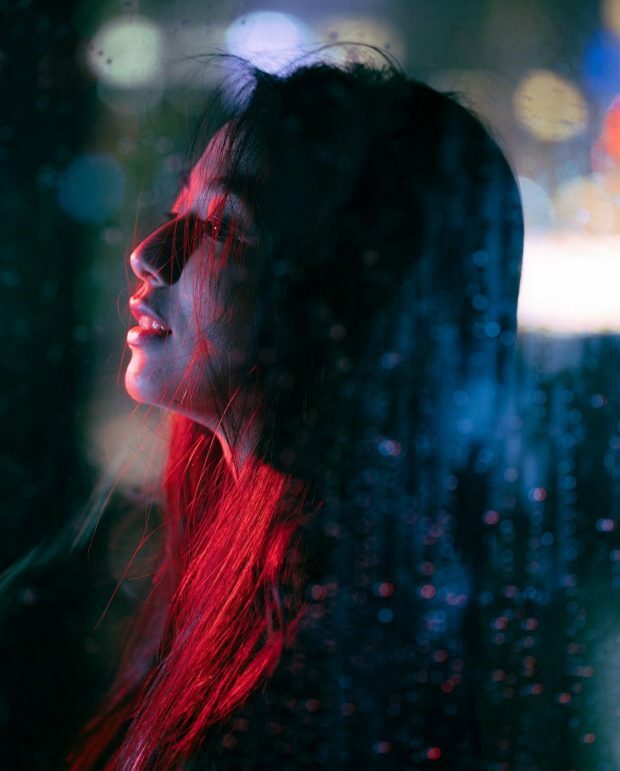 Here are five new sample images of yet unannounced Zeiss Batis telephoto prime lens from ZeissCameraLenses via Instagram. This lens will be officially announced at the end of this month. According to rumors from our source, this lens is likely a Batis 135mm f/2.8 Lens.